Particularly important in today’s context, Dimensions of Citizenship will grapple with the meaning of citizenship as a cluster of rights and responsibilities at the intersection of legal, political, economic, and societal affiliations. Contemporary issues in the world today—from immigration to the impact of technology on individuals and nations—make it clear that now, and in the years to come, the stakes of citizenship are exceedingly high. Dimensions of Citizenship are structured around seven telescoping scales—Citizen, Civitas, Region, Nation, Globe, Network, and Cosmos. As reflections on the spatial conditions of citizenship, these evocative works join installations by the Pavilion’s seven commissioned participants: Amanda Williams & Andres L. Hernandez, Design Earth, Diller Scofidio + Renfro, Estudio Teddy Cruz + Fonna Forman, Keller Easterling, SCAPE, and Studio Gang. 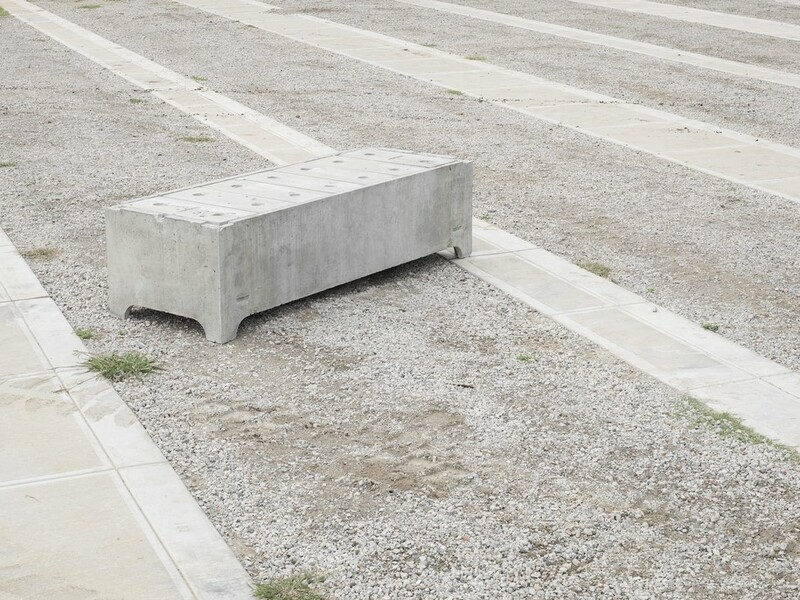 FORM N-X00: PREFABRICATED CONCRETE GRAVE LINERS READY FOR BURIAL, SYDNEY. VAULT, IZABELA PLUTA, 2018. Each of these new works commissioned for the U.S. Pavilion will interrogate a different spatial condition of design and citizenship. Also on view and placed in dialogue with these contributions will be existing projects by other architects, artists, and practitioners of aligned disciplines. 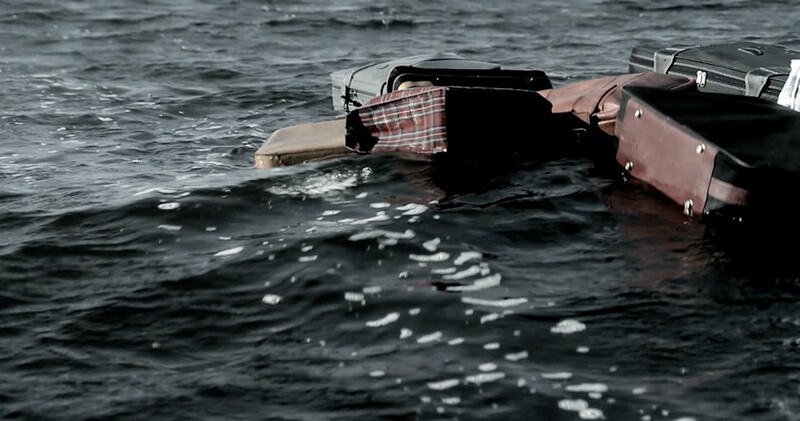 Dimensions of Citizenship presents seven installations and five invited film and video works. Structured around seven telescoping scales—Citizen, Civitas, Region, Nation, Globe, Network, and Cosmos—the commissioned works by artists, architects, designers, and landscape architects explore how citizenship may be defined, constructed, enacted, contested, or expressed in the built environment. Expanding from the body and city to the network and the heavens, the seven installations by a broad range of teams raise questions around belonging and sovereignty through material and research-based practices. While the curatorial construct of the scalar structure pays homage to the Eames’ Powers of Ten, additional themes track through and across these projects. These include ecology and climate change, the agency of human and non-human actors, the past and future of monuments, and the viability of citizenship itself. 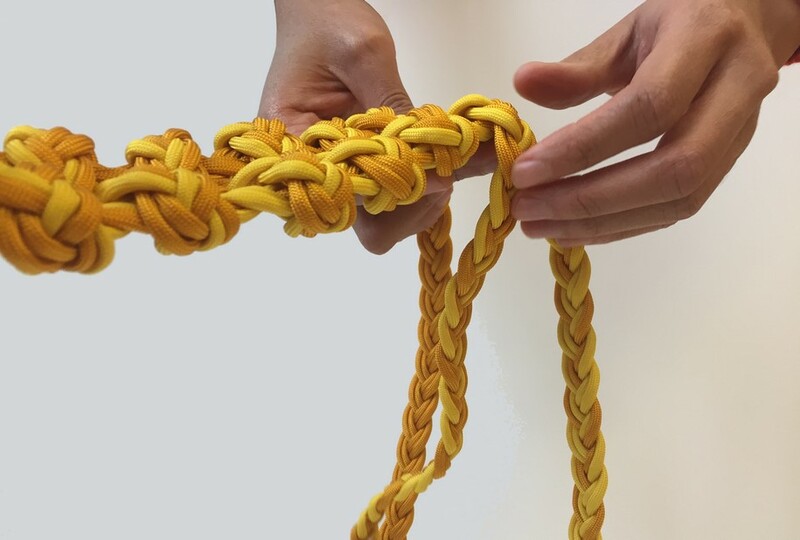 BRAID STUDY (2.017), SHANI CROWE. PHOTO CREDIT: COURTESY OF SHANI CROWE. MEMPHIS LANDING IN 2018 PHOTO CREDIT: COURTESY OF STUDIO GANG. 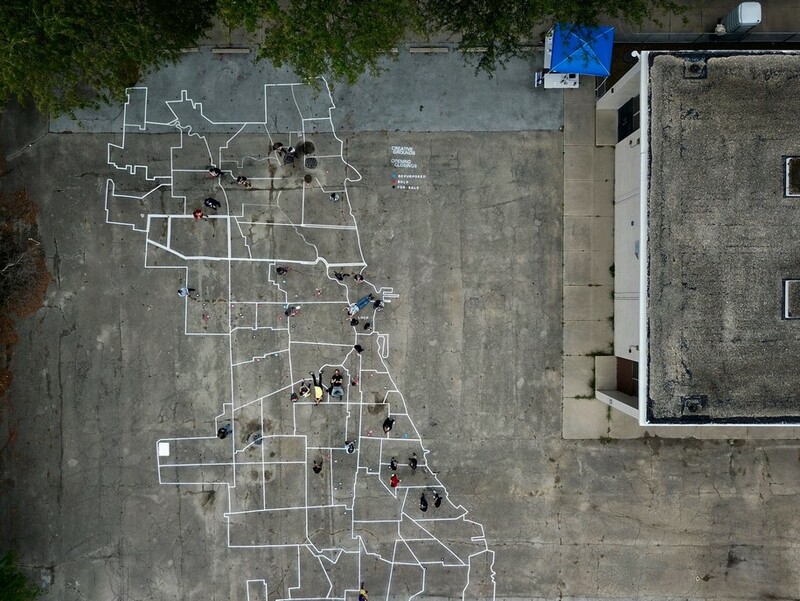 Led by 2011 MacArthur Fellow Jeanne Gang, Studio Gang uses design as a medium to help strengthen communities. Stone Stories builds on the Studio’s ongoing work in Memphis, Tennessee, to investigate how redesigning cities’ public space can be an exercise of citizenship and empowerment. Inspired by Memphis’s recent removal of two Confederate statues, Stone Stories offers an inclusive urban vision for Cobblestone Landing, an overlooked yet historically important site along the Mississippi River. 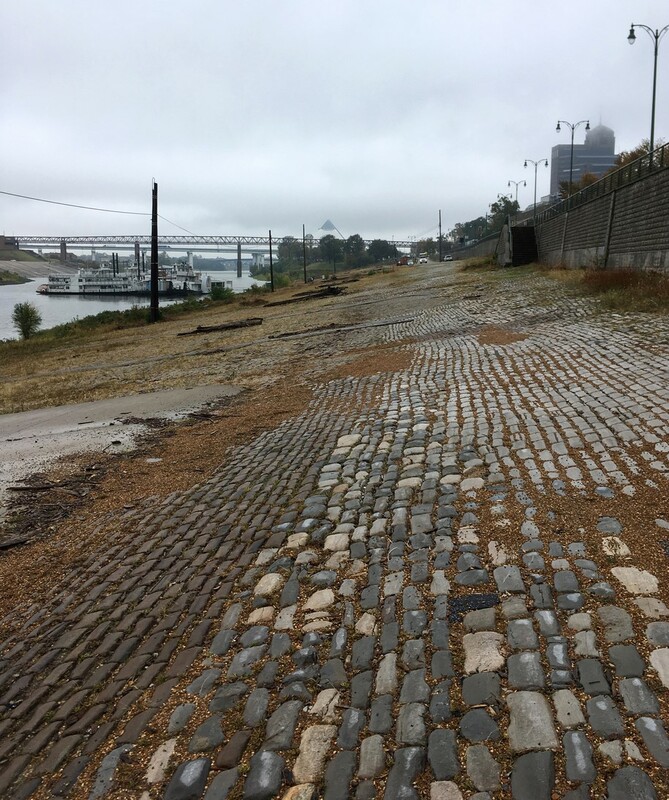 Hundreds of Memphis cobblestones will be shipped to Venice and used as a platform to share the stories ofMemphians past and present, offering visitors a visceral and material interaction with a distant public space and the citizens who are actively building its shared urban future. PHOTO CREDIT: COURTESY OF SCAPE. PHOTO BY ANDREA BARBANTI. SCAPE, under the leadership of 2017 MacArthur Fellow Kate Orff, will demonstrate that landscape architecture can be a critical tool for re-envisioning the response of citizens to climate change. SCAPE’s project, Ecological Citizens, understands the region as an area defined by the shifting relationships of ecology, infrastructure, and climate. 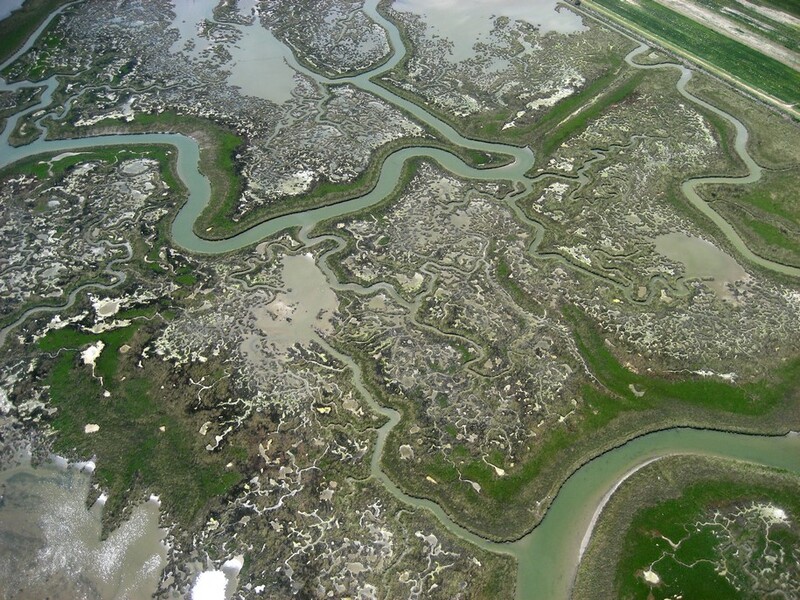 It takes the Venetian Lagoon as a globally significant case study of a tidal region under ecological threat. Partnering with Universica di Bologna and the Italian Institute of Marine Sciences, SCAPE will present possible solutions or interventions to aid the environmentally sensitive La Certosa island in the lagoon. THE NATION AGAINST NATURE, PHOTO SERIES FROM MEXUS (2017), ESRUDIO TEDDY CRUZ + FONNA FORMAN. PHOTO CREDIT: COURTESY OFESTUDIO TEDDY CRUZ + FONNA FORMAN. Vilcek Prize in Architecture, which is presented to immigrants who are champions of the arts and sciences. NIGHTTIME LIGHTS, CANADA AND NORTHERN UNITED STATES PHOTO CREDIT: NASA GODDARD SPACE, DILLER SCOFIDIO + RENFRO, LAURA KURDAN, ROBERT GERARD PIETRUSKO, WITH COLUMBIA CENTER FOR SPATIAL RESEARCH. FLIGHT CENTER. BLACK MARBLE. 2016. When we zoom out to the scale of the globe, the primacy of the individual, the city, and even the nation drops away and is replaced by data: electricity, trade routes, migratory shifts, and the flow of capital, goods, and people. In Plain Sight—a collaboration among Diller Scofidio + Renfro, Laura Kurgan, and Robert Gerard Pietrusko with Columbia Center for Spatial Research—uses data drawn from images created by the Soumi National Polar-orbiting Partnership satellite to visualize where people live on earth. 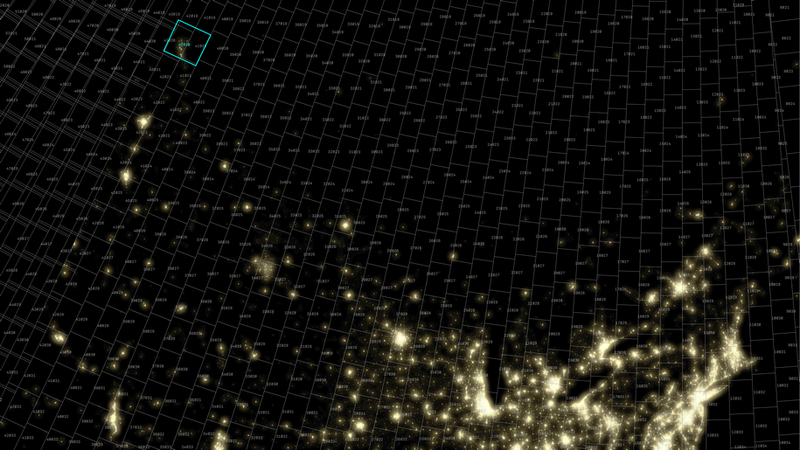 Two contrasting NASA images of the Earth taken at 1:3o pm and 1:3o am show us the gaps in the network: the places with many people and no lights, and those with bright lights and no people. This information maps out a political geography of belonging and exclusion. PLANETARY ARK B/3] (ALL ABOARD) THE ARCHITEKRON (Z.018), DESIGN EARTH. IMAGE COURTESY OF DESIGN EARTH. The space above Earth, as a site of existing human occupation and potential belonging, has become a territory that both captures the imagination and serves as a theater for existing conflicts or conditions. 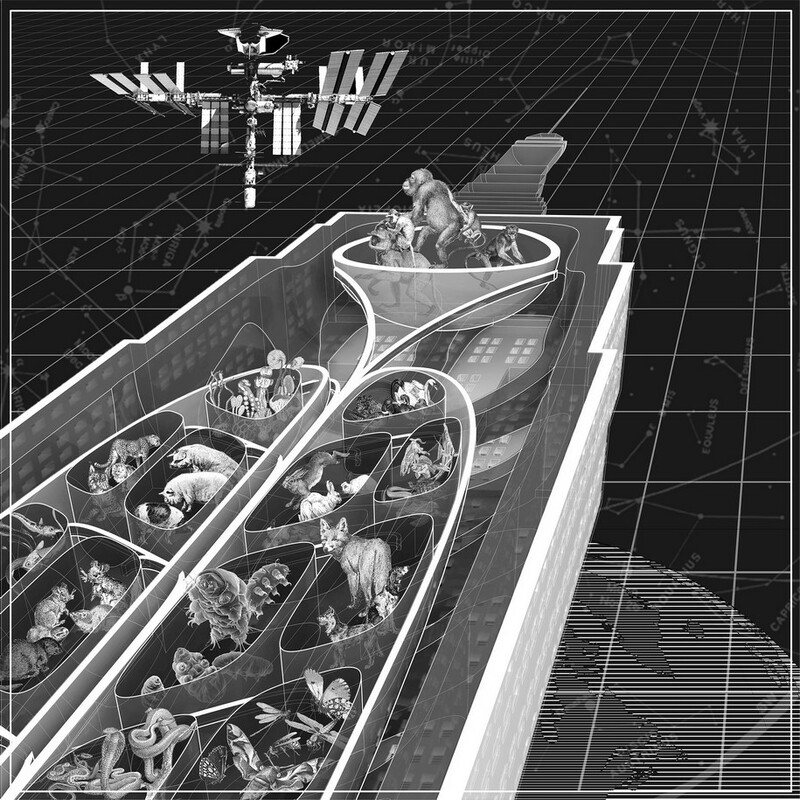 In looking to the cosmos, Design Earth’s speculative designs suggest possible off world architectural responses. Design Earth’s El Hadi Jazairy and Rania Ghosn (recipient of the zo17 Boghossian Foundation Prize) present three “geo-stories,” which speculate on the legal geography of citizenship when extended to “the province of all mankind.” Together the stories in Cosmorama—Mining the Sky, Planetary Ark, and Pacific Cemetery—ask how we should reckon with the epic and frontier narratives that have fueled space exploration, at a time when prospects of instability and extinction have become normal on Earth. 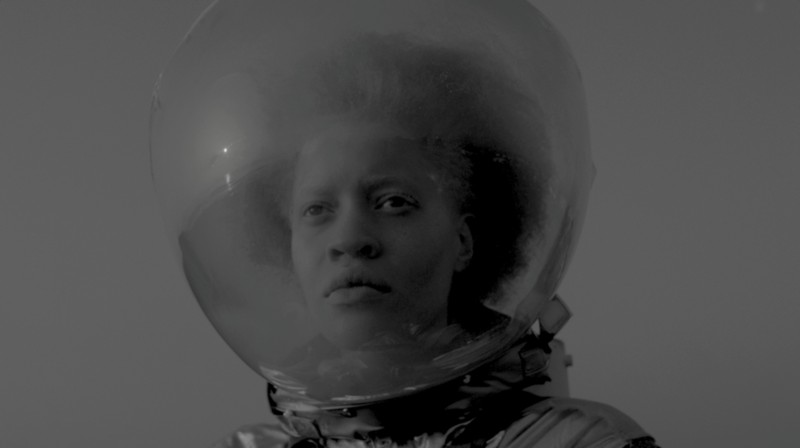 The curators of Dimensions of Citizenship, the U.S. Pavilion exhibition at the 2018 Venice Architecture Biennale, will present film and video works that explore multiple perspectives—narrative, speculative, or impressionistic— in the pavilion’s rotunda. 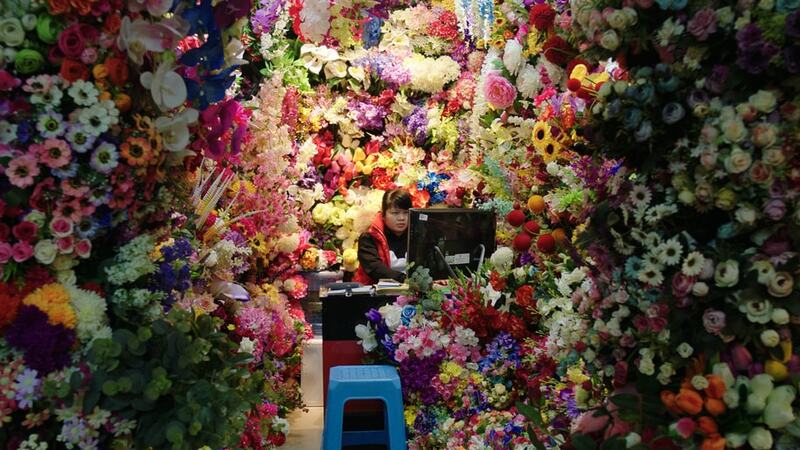 Entitled “Transit Screening Lounge,” this collection features recent single-channel works by Frances Bodomo, Mandana Moghaddam, David Rueter and Marissa Lee Benedict, Mika Rottenberg, and Liam Young. While the commissioned installations consider what it means to belong at different and specific spatial scales, the Transit Screening Lounge offers more ambiguous readings of contemporary citizenship, involving blurred boundaries, gray areas, and alternative histories. The selected works look at citizenship through a lens of movement: migration, transgression, transmission, travel, and mobility, as a way to visualize conditions that can be difficult to delineate through traditional architectural means. STUDIOHUERTA, BORDERLANDS (MIXED DIGITAL MEDIA), 2018. 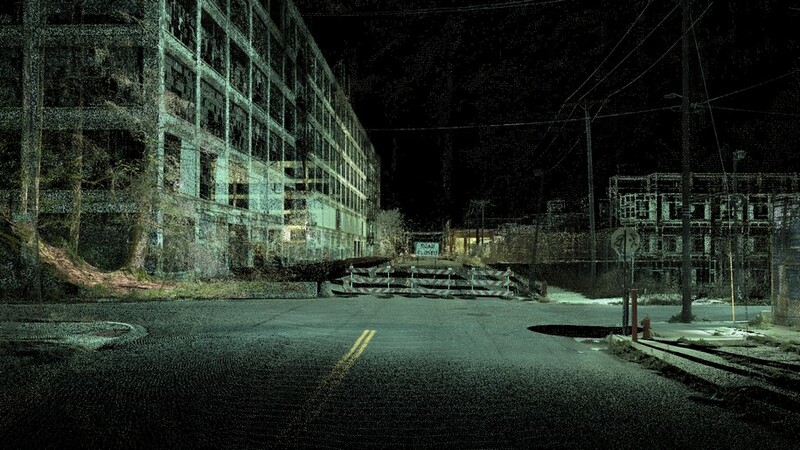 Borders, in their designation as elements of protection, can devolve into infrastructures of political insecurity, ecological foreclosure, and cultural estrangement. Their conception as safeguards can lead to mobilization as architectural weaponry, exacerbating conflict and precluding their potential as seams of productive bilateral collaboration. Yet despite their physical opposition, unique socioeconomic and cultural ecosystems often flourish along the margins of border cities, cultivated by the overlap of generations who select from both sides. Borderlands imagines transnational boundaries as fluctuating swaths of cultural, economic, and ecological exchange. 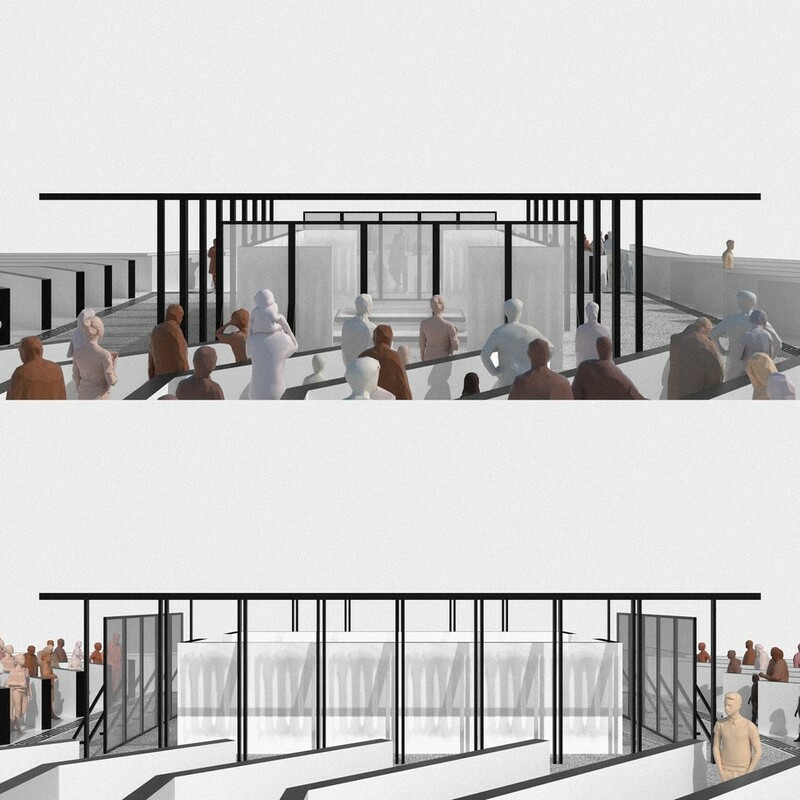 By conceiving borders as space rather than element, an array of shared infrastructures, programs and amenities can create international vestibules rather than barriers. 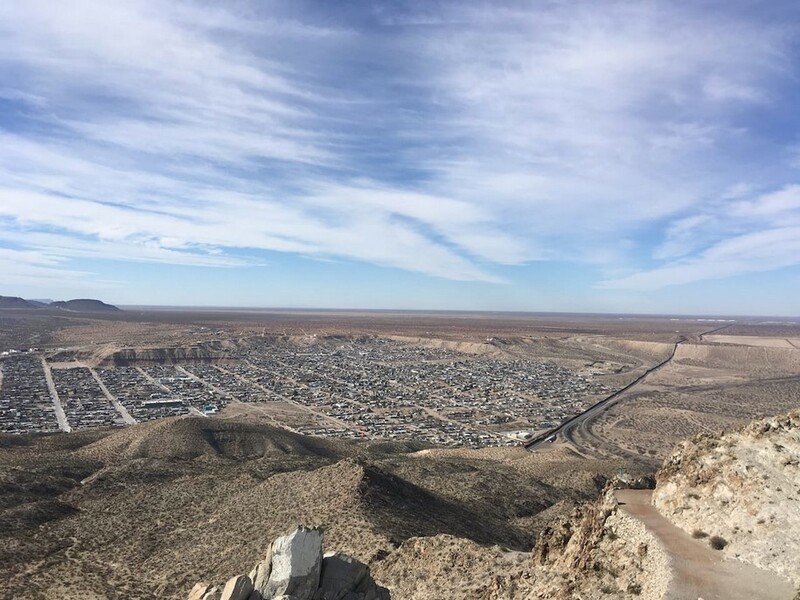 Along the border of Calexico, California and Mexicali, Mexico, a spatial band reaches beyond both sides of the international boundary. 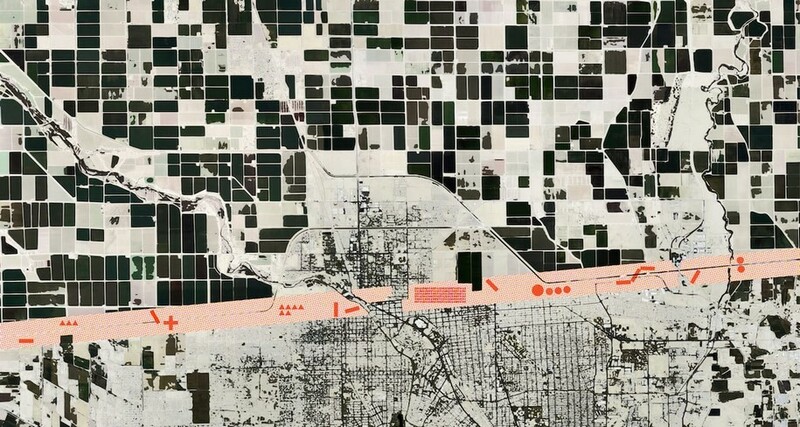 The thickened borderline provides flexibility for needs and structures to evolve, carving out a liminal space where equity and resources are interchanged. Centers for energy production, water treatment, specialized skills training, university satellite campuses, international refugee aid, and parklands are created and managed between United States and Mexican institutions and businesses, concentrating national capital for mutual conservation and development. More so than in most places, borders illuminate the exigencies of complex interdependence, throwing into stark relief the importance of common resources and questions of global citizenship. As argued by Peter Sloterdijk in his article “Atmospheric Politics,” “democracy depends on the ability to lend a spatial dimension to things said one after the other; it therefore implies constant training in patience.” In order to become a citizen, then, one has to exercise the necessary patience to listen while others speak. If previous spatial types of democratic assembly have always been about getting together, this waiting room is a location where two individuals are randomly paired up in order to speak and listen to each other. As other instances when people are asked to wait, this room places its soon-to-be-citizens in limbo. This waiting room puts things in a state of temporary suspension while two strangers patiently discuss what it takes for citizens to live with each other. As other waiting rooms, this room is not an end in itself. 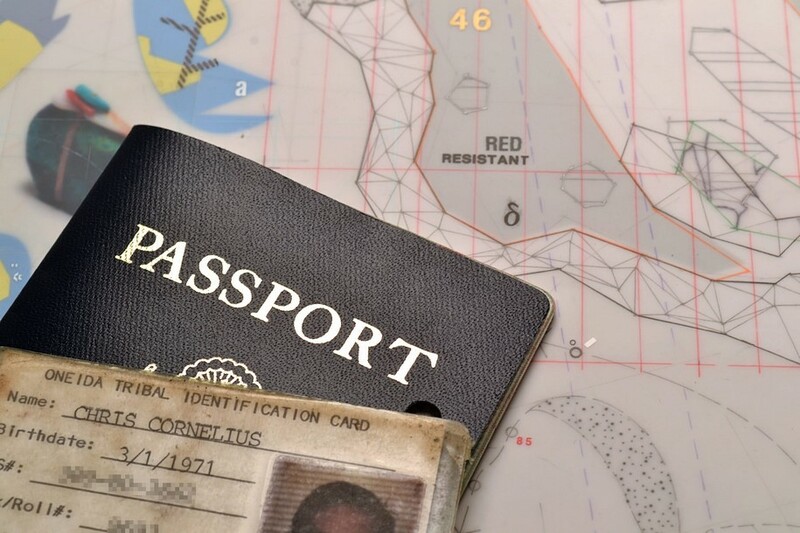 Nevertheless, it is a necessary means for reestablishing the most essential quality for citizenship to continue to exist in times of instant gratification and simulation. The “Golden Room” series includes digital reproductions of typical Athenian apartment rooms based on photos found in real estate website listings. The selected apartments are priced at 250,000€ which is the minimum investment in real estate required to apply for a European Visa. Since the introduction of the programme in 2013, the Greek “Golden Visa” has become the most affordable route to permanent residency in Europe, compared to 500,000€ in Spain and Portugal and 650,000€ at Malta. New property owners in Greece can apply for citizenship and a passport after seven years. The “Golden Visa” programme has attracted many international real estate companies that have acquired properties in Athens and other tourist locations. Apart from selling properties, these companies are also supporting their clients in the application procedure of what is considered to be a European investment immigration program. 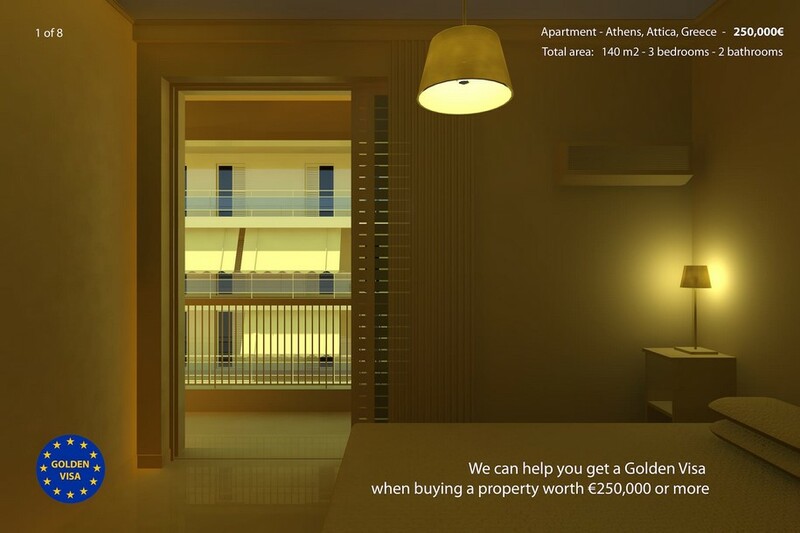 Most of the 250,000€ real estate opportunities can be found in typical twentieth century Athenian apartment blocks. Originally built for the local petite-bourgeoisie, these apartments have now become a gateway to European citizenship for wealthy people mostly from China, Russia, and other Asian countries. 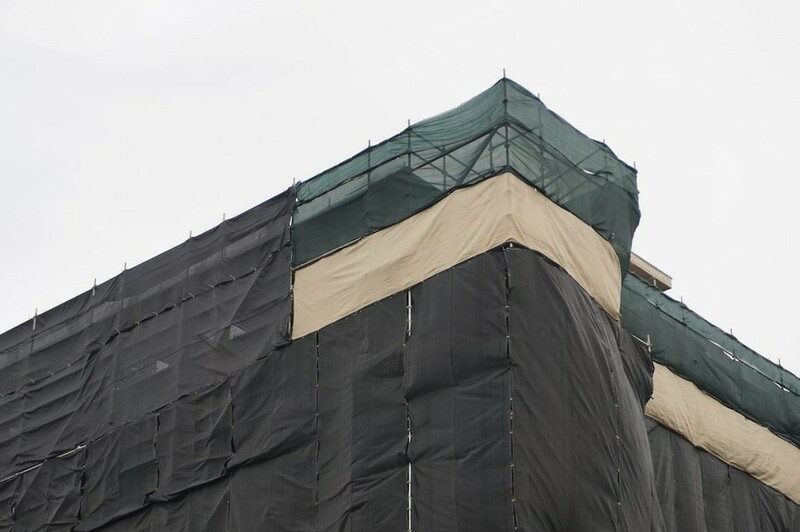 Houston is infamous for its free-market approach to development and lack of zoning regulations, featuring a sprawling landscape with one of the most severe shortages of affordable housing in the US for a large metropolitan area. Hurricane Harvey revealed the limits of the city’s infrastructure and drainage systems, with many citing this same hunger for development as a factor in the devastating floods that are occurring more often in recent years. However, even as impermeable concrete replaces wetlands and prairies, and booming development displaces entire communities wholesale with few affordable alternatives, Houston is still held up as a model for development for the rest of the nation. Recently, the issue of the growing homeless encampments in Houston, or “tent cities,” dominates local news and discourse. These simultaneous tensions related to the basic needs of housing and shelter, playing out on the local landscape, have the potential to further shape our nation’s attitudes around precarity, access, and belonging for its citizens. initiatives, and academic programs, brings together the efforts of students, faculty, artists, and community partners to infuse creativity throughout the intellectual life on campus while solidifying the University’s role as a cultural destination and resource on Chicago’s South Side.